LAHORE: (Wednesday, October 10, 2018): Punjab University Centre for Clinical Psychology (CCP) organized a one day awareness campaign at the eve of “World Mental Health Day” here on Wednesday. The purpose of this campaign was to highlight the importance of Mental Health educating the masses about the Mental Health problems and encouraged them to seek help for these issues. 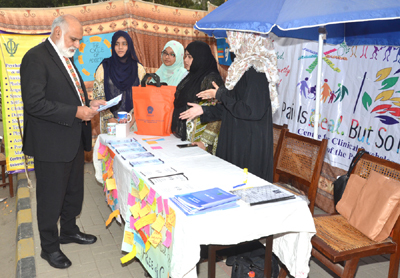 The awareness stalls were set up at six points in the varsity premises, these stalls were beautifully decorated and flyes and pamphlets were distributed among students to spread awareness. Ability testing facilities were also provided and students took great interest in getting their intelligence ability tested. A great number of students benefitted from the awareness being disseminated by the CCP students. It was a successful event and enlightened the students greatly about Mental health issues. 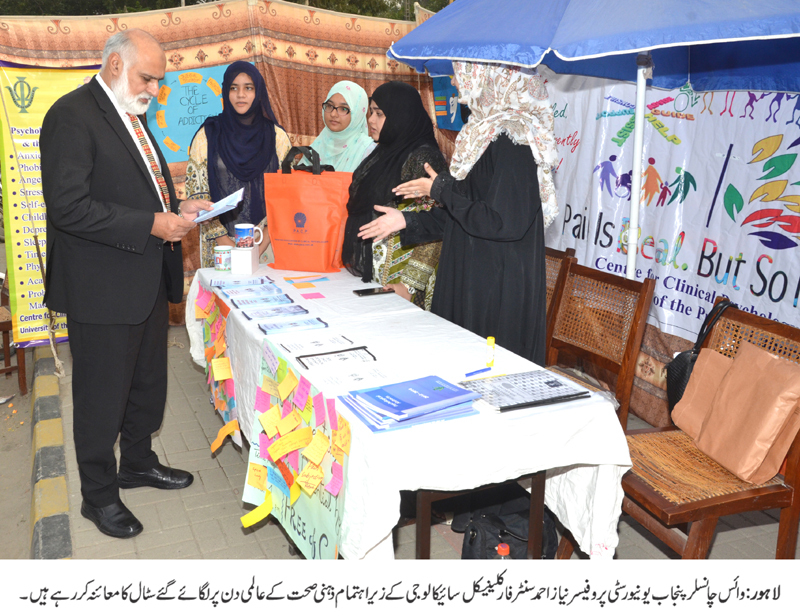 PU Vice Chancellor Prof Niaz Ahmed visited the various stalls and appreciated the efforts of Centre for Clinical Psycho for the Mental Health Day.